A practical and supremely simple-to-install shower tray, Filo utilises our revolutionary concept which we like to call Plug&Play simply because it really is that easy. No carpenters, no stone cutters involved, it comes ready for a plumber to install with the minimum of fuss, thereby reducing time, cost and the stress of coordinating tradespeople.Filo Raised comes complete with a self-cleaning waste and a stainless steel tray together with a customised lever for raising the stone slats for easy cleaning. Since 1946, Salvatori has worked closely with architects, designers and builders to provide not only practical support, but also inspiring new ways to work with stone which often challenge traditional thinking. 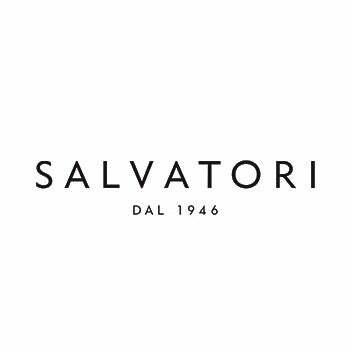 This approach, combined with an innate solution-finding mentality and an eye for finesse and aesthetics, has led to the Salvatori name becoming synonymous with innovation, design and excellence the world over. Our head office is based in Northern Tuscany, on the coast just a few kilometres from the artists’ haven of Pietrasanta, and less than 30 minutes from the imposing quarries which are home to the famed Carrara marble. Innovation is entrenched in the DNA of the company, and in fact we scored a world first right back in our earliest days when founder Guido Salvatori invented the Split Face (Spaccatello) finish in 1950. Working with clients that count among them Armani, Bergdorf Goodman, Louis Vuitton and Boston Consulting Group, we pride ourselves on providing much more than mere product. We work alongside our partners right from the beginning of a project, with advice on the stone itself, design, installation and care, covering both practical and aesthetic aspects. Today the third generation continues the story of innovation with CEO Gabriele Salvatori and his brother Guido at the helm. A beautiful and unusual round shaped shower tray in white cast iron with four feet in the shape of a paw. Cast iron, green painting in the front, France, circa 1900. Stone fountain from Portugal with iron spout from 1800s or before. 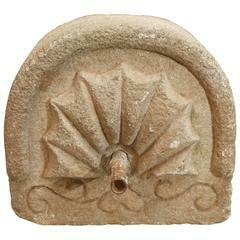 It is great for an outdoor fountain or back mount for a sink. The dimensions of the depth with the spout is 11&quot;.